I’ve been doing a series on marketing your debut novel. You can find Part I and Part II by clicking the links. Briefly, Part I focused on growing your tribe/social media and Part II was about the comparable books section of your book proposal. In this installment, I’m going to continue on the pre-contract phase of the writer’s life by focusing on another troublesome aspect of the book proposal–the AUDIENCE SECTION. (Cue your choice of scary music.) This section goes before the overall marketing plan that you will design to help the publisher get the word out about your book. A publisher wants to see that you know who your potential reader is. Are you savvy enough to figure it out? This audience section will help your publisher know how to market your book and how to best reach the reader you’ve identified. Really? Everyone? That’s not very discerning. You may not understand your potential readers very well and this will be troubling for the publisher. EVERYONE is not going to like your book. That’s just fact. And you will waste time trying to market the book to everyone. 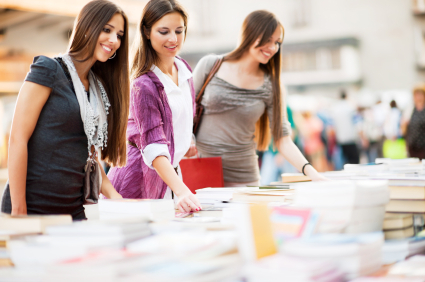 Did you know the largest group of Christian fiction buyers is women, mostly between the ages of 30-50? In fact, this morsel of truth may translate to the general fiction market as well which are those books published by the ABA. You can watch this fascinating interview with CJ Lyons and Lee Child as they discuss that women purchase most books. So, when you’re working on this section of your book proposal, think hard about who will be attracted to buying your book. Are they men or women? College educated? What age are they? What do they watch on TV? How popular are those TV shows? What follows in quotes is my audience section in the book proposal for Proof. For those of you who are not aware, Proof is a medical thriller/police procedural. Equal parts of both. Some romance but not 50/50 romance like a true romantic suspense novel should be. “Those likely to buy Proof are career men and women age 25-45 who are fans of medical/police procedural television shows and novels. ER ran for 15 seasons and during its first ten years was consistently a top ten show. House, currently in its seventh season, averages 10 million viewers. The DNA mystery in Proof will attract people who watch CSI, as well. CSI has three television shows in its franchise. What’s been interesting in hindsight is that Library Journal suggested my novel to those who were fans of Robin Cook. Several reviews have specifically mentioned the show CSI as well as Law and Order SVU and Grey’s Anatomy. I carefully marketed the book to those I thought it would appeal to, and ultimately they are indeed the ones who’ve loved the book. What do you think? Have you tried to write an audience section of a book proposal? How easy or hard was it? What advice helped you write this section? This entry was posted in Fiction, Marketing and Promotion, Publishing, Writing and tagged Audience, Book Promotion, Book Proposal, Buyers, Jordyn Redwood, marketing, Proof by Jordyn Redwood. Bookmark the permalink. I read more than one genre, so I am atypical, I suppose, and perhaps that makes it harder for me to pinpoint my own reader audience. Interesting post, Jordyn. The target market section of the proposal can be intimidating. Your insights and information are great. What a great post! I have to share I just finished reading PROOF and LOVED it!! I see a wide range of readers devouring it like crazy. Men and women (which is not always common). This post is a great reminder. Thank you. And thanks for the AWESOME read! I was so hooked and the suspense kept coming and coming. Kudos to you, Jordan. Great post, Jordyn, and Proof is a fabulous read! Hoping others will soon be targeting your readers a they work on their own book proposals.